The American supercar lineup, including the 1,700 hp LM 2 Streamliner by Lyons Motor Car, is getting another addition thanks to PSC Motors. The Las Vegas-based startup has revealed their new hybrid hypercar today, according to an article from MotorAuthority.com. 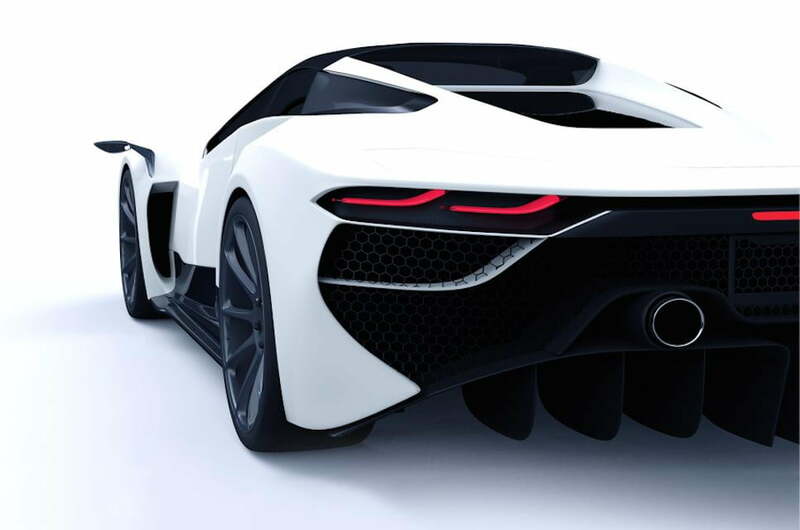 The hypercar, called the SP-200 SIN, looks to be one of the most powerful and fastest vehicles to come out of the United States, or the planet, for that matter. This accolade is all thanks to the claimed 2,400 hp output, which is up from their first claim of 1,700 hp. Powering the car is a twin-turbocharged 9.0-liter V8 engine, as well as an electric motor. On it’s own, the V8 engine is said to produce 1,650 hp, while the electric motor zaps out 750 hp. Mated to these power sources is an eight-speed dual-clutch transmission that sends all of the power to the rear wheels. With a full charge, the rear-axle-mounted electric motor can propel the car by itself for 60 miles. With this insane amount of power and a weight of 3,750 lbs, PSC Motors claims the SP-200 SIN will complete a 0-60 mph run in 2.6 seconds and will hit a top speed of 280 mph. As of right now, there are only digital renderings of the car, but PSC Motors is looking to start production in 2016 and are taking orders for the five planned examples of the car now.